The weather outside may be frightful, but the following winter activities for kids will make your home a delightful place to be during the winter season. These fun-filled, kid-centric, boredom busters are a sure cure for the winter blues. What's more, they are also tried and true sanity-savers for adults. Grab a bunch of coffee filters or a stack of old computer paper, and let the snow fall. Making paper snowflakes is easy, fun and inexpensive. Even young kids can get in on the action by using safety scissors and remembering not to cut through the seam on the folded pieces of paper. If you want to make a statement with your snowflakes, then use aluminum foil or metallic scrapbook paper. 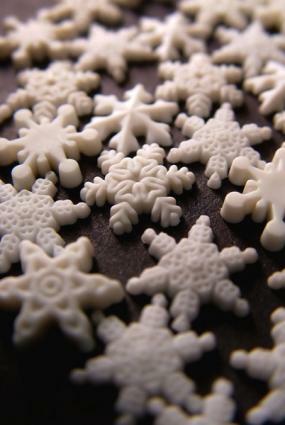 Once the snowflakes are done, you can use them to decorate holiday greeting cards or attach some ribbon and turn them into Christmas tree ornaments. String pipe cleaners through multicolored beads, then mold the pipe cleaners into various shapes, such as candy canes, Christmas trees, or stars. Then, use them to decorate wreaths, trees or add a safety pin to the back and you have an instant winter-themed embellishment for your favorite seasonal outfit or hat. Shaving Cream Snowman: Cover your kitchen table with plastic, and then spray several cans of shaving cream into separate piles. Next, let your kids have a ball making their snowmen. The best part: clean-up is a breeze. Soap Suds Snowman: Whip up a batch of the white stuff by pouring Ivory Snow into a bowl. Next, add some water and mix with an electric beater until doughy. From there, kids can have fun shaping the damp soap into three balls. Keeping the snowman's body intact is easy with a few toothpicks. Finally, add twigs for arms, cloves for eyes, small shirt buttons and a tiny scrap of felt for a scarf. If you want to go all out, you could add beads for a smiling mouth and the tip of a carrot for a nose. Have kids put on some dress-up clothes and get ready to boogie. You can dangle homemade snowflakes from the ceiling, turn on some twinkling Christmas lights, and put on some fun winter songs. Then, let little ones wiggle and dance to the wintry beat. Noting says winter fun more than a homemade gingerbread house. Delegate jobs amongst the kids and bake the sweet treat from scratch or purchase a kit that features premade gingerbread and icing. Once the house frame is up, kids can work as a team to decorate it with licorice, sprinkles, chocolate and gum drops. Grab a few magnifying glasses and head to the window so the kids can learn first-hand that no two snowflakes are the same. If the kids are having a hard time seeing the individual flakes on the window, collect some from outside, and place them on a piece of dark fabric. Why not create a Winter Olympic games outside? You can have sledding contests, jumping contests, and snowboarding contests. Use whatever you have available, such as plastic sleds, cookie sheets, garbage can lids, large pieces of cardboard to get the games going in your backyard. When participating in outdoor winter-themed activities, be sure that kids are dressed appropriately. Hats, gloves and boots are a must when frolicking in temperatures that are below freezing. In addition, invite kids in for some hot chocolate after they've been outside for 30 minutes or more. Despite frigid conditions, kids' will suffer from dehydration when they don't consume enough liquids.